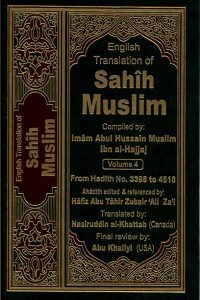 The authentic hadith collections of Sahih Bukhari and Sahih Muslim are excellent in respect to their chain of transmissions and the texts as well as their general utility to all Muslims. The collections won the praise and acclaim of of Hadith scholars so much that they themselves produced similar works. Yet, their works contained the same hadiths but with their own independent chains. They called their works Mustakhraj. Imam Muslim is one of the foremost preservers of hadith of the Prophet. His book comes second only to Sahih al Bukhari in terms of authenticity according to majority of scholars. Sahih Muslim is considered to be better than Sahih Bukhari in terms of organization and repetition according to some scholars of Islam. It is the second in the collection of 6 books called “Sihah Sittah” or “6 most authentic books”. Imam Muslim took painstaking efforts in preserving the words, actions, sayings and approvals of the Prophet. Imam Muslim was a very good student of Imam Bukhari and some of his Shuyukhs. However, he did not narrate from Imam Bukhari too much, thus reducing the of narrators.